Tomorrow evening I’ll be taking my writing skills over to the Black Box Arts Center. (Where I do most of my acting these days.) I’ll be writing a one-act play. In one night. 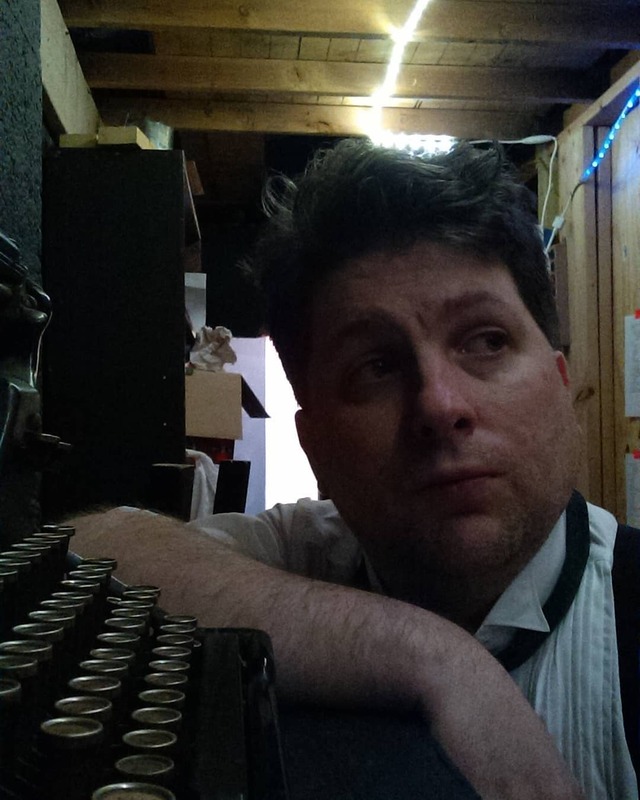 Despite my experience in theater, I haven’t written plays very often so far. I wrote a one-act play for a contest years ago, and didn’t win. I currently have an early draft of a regular length play I keep trying to have a reading for. And I have the idea of a stage play that I am still doing research for. But in none of those cases have I had to crank out something in the course of a single night! There is of course a certain advantage to such pressure cooker situations; the constraints will promote creativity. Much like Nanowrimo, there will be no time to overthink what I’m writing. Then there is accountability. It will have to get on the page, ready for actors to read and (in theory) memorize the following morning. Other people, from directors to actors to the eventual audience are counting on me (and the other playwrights) getting this done. Granted, this is not generally the best way to produce theater in a normal setting, but this is not a normal setting. It’s an exercise, a stunt, an experiment, and it’s just plain crazy, but hopefully will be fun also. As with most drama, the key of course is a conflict. Somebody wanting something and for a time unable to get it. There are exceptions to this formula, even within my own writing, but for something like this, best to stick with the basics. For a one-act, in general personalities of characters should remain uniform. That is to say less time for catharsis and arc. Hence, what they say is of prime importance. To me in drama, but especially in the one act, is it the lines that make a script stick in the mind most. We’ll find out if I’m correct tomorrow. I have no idea how many people will show up. I also have no idea who will be in the play I will be writing. Everyone who shows up is promised a role in one of the plays, so I don’t even know how many characters my play will have. I should be ready for anything, I imagine. But as for the casting, I’ll be leaving that mostly to my friend and director. I’ll provide input naturally, but I think this exercise will be most fun and most interesting if each segment of the process is as independent as possible. Maybe what i come up with will be a usable script, (with more deliberate edits) in the future. And maybe it won’t. But whatever happens, this is the sort of thing I think writers should open themselves up to from time to time. The out of the ordinary, the weird, the crazy. Check back in a few days from now for an update on how all of this went!